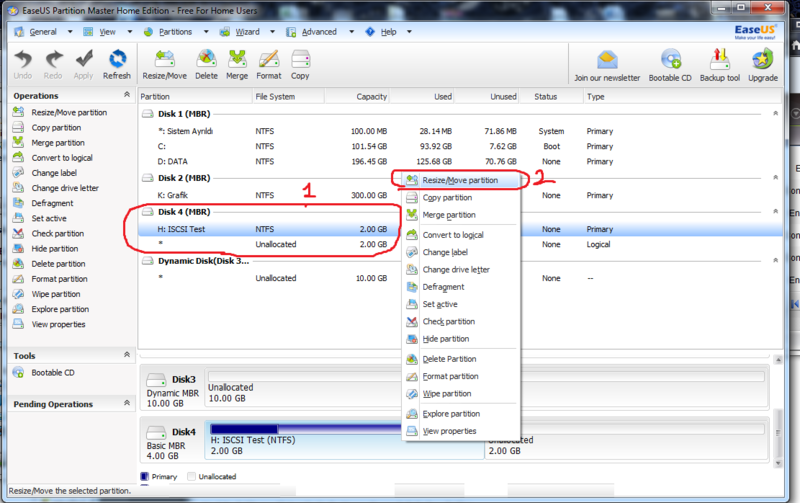 Can I Expand My ISCSI Lun Capacity? The NAS supports expanding the capacity of an iSCSI LUN. To do so, follow the steps below. 1. Locate an iSCSI LUN on the iSCSI target list in “iSCSI” > “Target Management”. Click . 2. 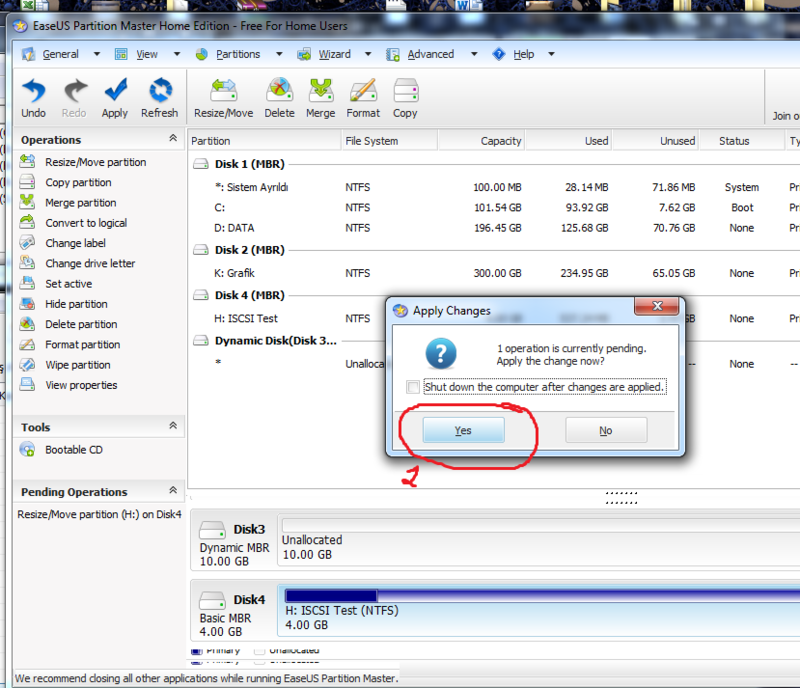 Use the slide bar to specify the capacity of the LUN or enter the capacity in the field. Note that the LUN capacity can be increased many times up to the maximum limit but cannot be decreased. 3. Click “Apply” to save the settings. 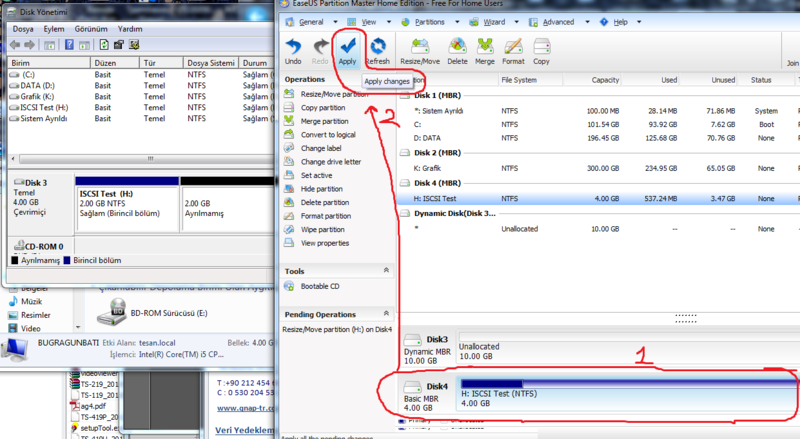 Note: An iSCSI LUN must be mapped to an iSCSI target before increasing the capacity. Warning: Qnap or I are not responsable data loss after this process, so if you have critical datas, please backup them first. 3 – Download and Install EaseUS Master Home Edition. 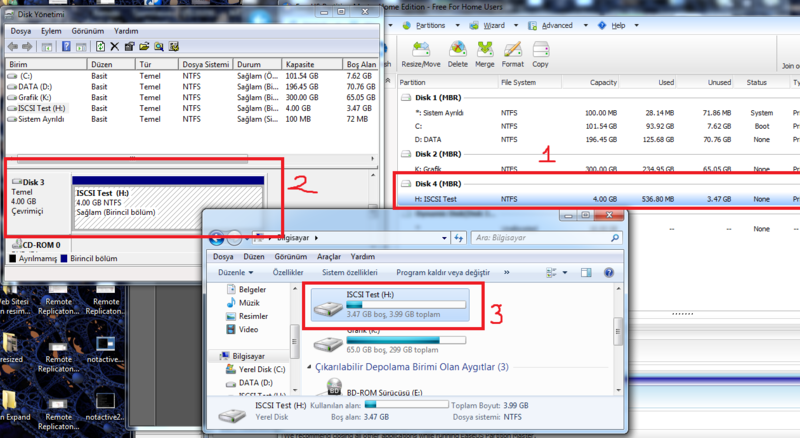 Choose your HDD, right click on it and choose “Resize / Move Partition” option. 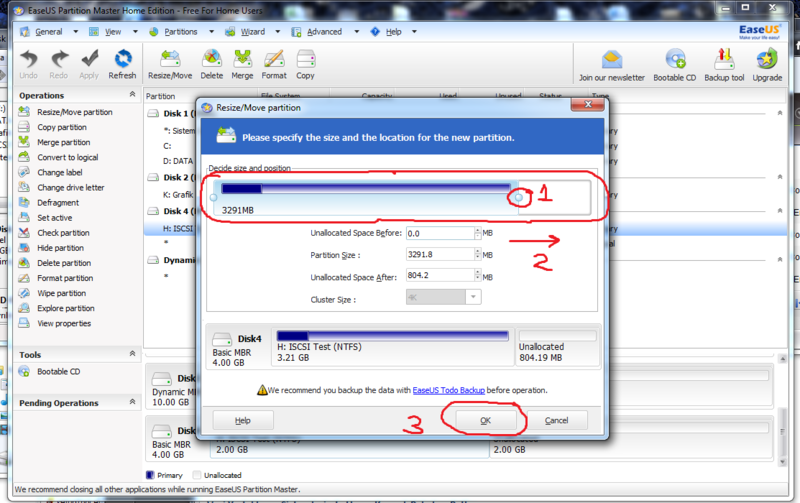 8 – Your Lun size capacity is expanded without any data loss.